UPDATE: Gov LePage’s anti-solar bill, LD1400, was soundly rejected by the Energy Committee and is officially DEAD – at least for now. A heavily revised version of LD1263 was enacted, and survived a veto by Gov LePage. Maine’s 127th legislature is faced with big decisions with long term ramifications – embrace a solar future, or take backwards-looking policies that leave Maine trailing the rest of the world in solar adoption? LD1263 – ReVision supports – The most ambitious pro-solar bill, LD1263 would increase the # of people who can participate in a solar farm (currently 10), create a solar carve-out in the State’s RPS, and create performance-based incentive for solar production (SREC). It faces the most opposition because it would facilitate some large-scale solar projects which the utilities don’t care for. 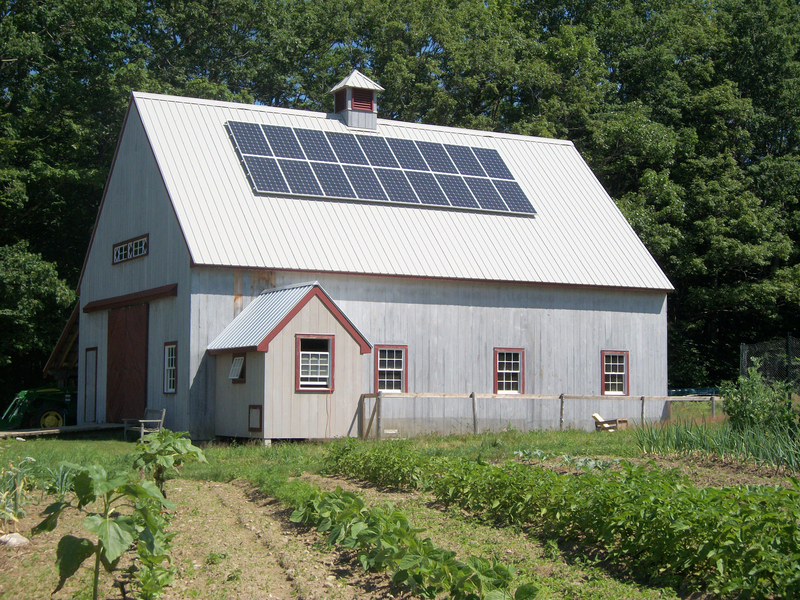 LD1073 – ReVision supports – This would create some sort of rebate for agricultural businesses that go solar, under a new fund administered by Efficiency Maine. LD1073 has reasonable support and a Republican sponsor; however, as the new funding would come from a (nominal) fee on ratepayers, it faces opposition. LD1355 – ReVision supports (tentatively) – This would create some sort of rebate for solar photovoltaic installations installed to power an air source heat pump heating system. Such systems would be eligible for financing through on-bill billing through the utility. We are anxious about a path that opens the door to utility ownership of solar, however, anything that gives utilities some stake in solar (and thus maybe reduces their antagonism to new solar legislation) is helpful. We’re tentatively in support of the bill but will watch it carefully as the Committee works on it to see if we remain supportive. LD1400 – ReVision STRONGLY opposes – Gov. LePage promised his own solar bill and this is it – a bill that couches a wholesale slaughter of net metering and the Renewable Portfolio Standard (RPS) under the guise of ‘reducing energy cost.’ It also charges the PUC (whose commissioners are all now LePage appointees) to broker the rates under which renewable energy would be sold. This bill would have, frankly, terrifying consequences for all forms of renewable energy in the state of Maine, though we think (hope) its chance of passage is slim. Very few Legislators (of any party) are as strongly opposed to renewable energy as Governor LePage is. Most people understand that the best energy is that which is generated for free, locally, and installed and serviced by workers in the State of Maine. The legislative hearing illustrated the clash of two visions of Maine’s energy future: the solar vision of a less centralized, more locally owned and operated, smarter, cleaner grid. Maine would generate more of its electricity in Maine and utilities would transition from having monopoly control of the power grid, to service providers who would have to compete in order to please and retain customers. The alternate vision: more of the status quo. Keep the central grid and all of its inefficiencies, and rather than enacting public policy that facilitates ratepayers owning and generating their own power, force them to pay (through PUC-sanctioned rate increases) for centralized infrastructure, built by out of state companies, for the profit of major corporations. This vision would have Maine ratepayers “invest” in infrastructure that chains Maine to the volatile world energy market price of natural gas. Fossil energy apologists continue to paint solar as unaffordable and a product for the elite, and claim that net metering policy (receiving a 1:1 energy credit for kilowatt-hours sold to the utility) is a burden on the poor. This stale argument continues despite a mountain of evidence that points out the contrary, such as Maine’s own Value of Solar study which was conducted by the relatively solar unfriendly Maine PUC using a neutral third-party consultant (who employed an exhaustive, defensible process for making their claims that solar provides a 33cents per kilowatt-hour levelized cost of electricity to the grid). The irony of the message of the utilities/fossil energy supporters is that they are not actually proposing that Maine ratepayers avoid making significant investments. In fact, they are rushing full-steam ahead to get PUC-approval on extremely expensive infrastructure such as a $750million+ natural gas pipeline. In contrast, the cost (once the economic benefits are factored in) of LD 1263, over 20 years, is less that $15/million/year (source: Cost analysis by OPA and NRCM). So, an apparent contradiction: policy support for solar is a “subsidy,” and policy support for natural gas is an “investment.” The reality is that the policies proposed by Gov. LePage and his supporters would result in less local control, and higher energy costs, not the lowering of such costs. In our view, the only way to truly reduce long-term energy costs is through widespread and rapid adoption of renewable energy. Fossil fuel scarcity is a reality and costs will increase, as we explained in our piece the “Myth of Cheap Natural Gas.” Decentralized, smarter, distributed energy is the future of energy and, frankly, considering the environmental situation, the only path that leaves us an inhabitable planet. Energy policy should be geared towards accelerating the transition to renewable energy in as non-disruptive a way as possible, not clinging towards 1950s ideas of a centralized energy grid designed to prop up an inherently outdated business model. It’s possible to do this. The technology exists and is affordable today. Hawaii just announced policies that would get the islands 100% renewable by 2045. 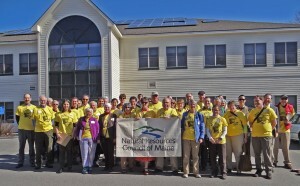 If you would like to see better solar policy in Maine, now is the time to write letters to the editor to your local papers, and call or email your state legislators. Politically, solar faces strong headwinds in the Maine legislature and Governor’s office, however, some of solar’s key opponents are softening their stance as they learn more about the technology’s benefits and potential to both create jobs in the state of Maine and improve our energy security/independence. Find your Maine representative at: http://legislature.maine.gov/house/townlist.htm and State Senator at: http://legisweb1.mainelegislature.org/wp/senate/find-your-senator/. A list of contacts for state and weekly papers is here. Why should Maine encourage solar policy? Maine is falling behind other New England states when it comes to solar policy, largely due to lack of state policy – NOT as a result of lack of a solar resource. LD1263, for minimal ratepayer impact, closes this gap significantly. Maine’s own “Value of Solar” study found that solar offers much greater benefits to everyone on the grid, than benefits the person who receives net metering. LD1263 would make numerous large-scale solar projects economically viable, benefiting municipalities such as Gouldsboro, Sanford, South Portland, Elliott, Berwick, Washington and Limestone. LD 1263 would support the creation of an estimated estimated 10,000 residential projects and nearly 3,000 business or community-based solar installations.